Sercel, a subsidiary of CGGVeritas, has introduced new data transmission technology, Giga Transverse, an add-on to the 428XL land acquisition system. The technology increases the maximum channels per line from 10 000 to 100 000, and brings them a big step closer to the possiblity of one million channels on a single job. 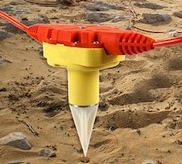 It will immediately benefit their UltraSeis offering for high-density point-receiver land acquisition. They also refreshed the DSU1 receiver (left), making it smaller and sharper. Young geophysicists must be salivating over the data they will be processing and interpreting in the decades to come. dGB has a built a comprehensive software suite for the seismic world, but OpendTect is a little light on petrophysics and log analysis. Not anymore! There's a new plugin coming to OpendTect, from Argentinian company Geoinfo: CLAS, or Computer Log Analysis Software. This will make the software attractive to a wider spread of the subsurface spectrum. dGB are on a clear path to creating a full-featured, deeply integrated platform. And OpendTect is open source, so petrophysicists may enjoy creating their own programs and plugins for working with well log data. In Petrel, Schlumberger is introducing a multi-faceted knowledge environment for the entire spectrum of subsurface specialists. 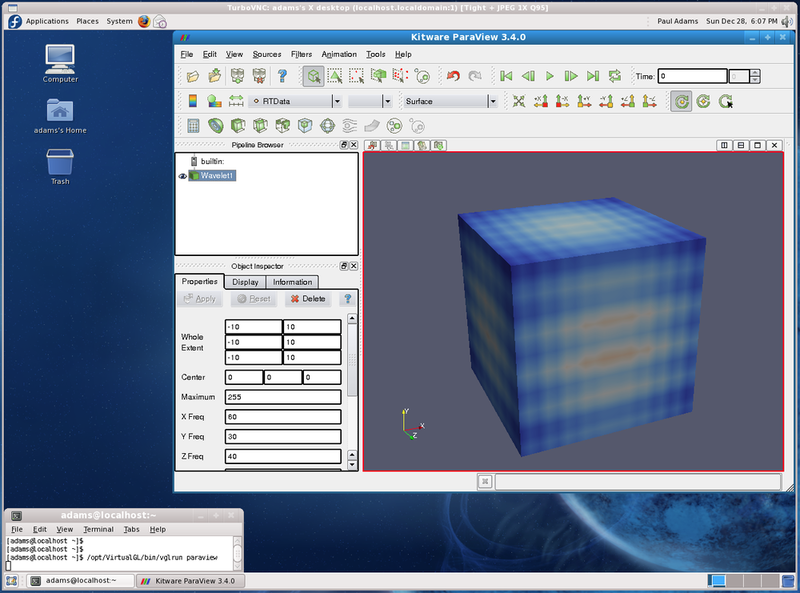 The announced improvements for the 2011 version include coordinate conversion for seismic data, better seismic flattening, more interpretation functions, and, most interesting of all, introduces the Studio™ environment. Geoscientists and engineers can search and browse projects, select data, and customize their screens by creating personal collections of often-used processes. It doesn't sound as interactive or social as the awaited Convofy for GeoGraphix, but it is good to see software companies thinking about large-scale, long-term knowledge issues, and it already exists! High-end visualizaiton performance on a laptop... perhaps even a tablet! TurboVNC in action in the US government. Image: US Data Analysis & Assessment Center wiki.Australian E&P company Santos Ltd recently won the 2011 Red Hat Innovator of the Year award. From the award submission: "Santos has been burnt in the past by hanging its hat on proprietary solutions only to have them rendered uneconomical through being acquired by bigger fish. So for Santos, the move to open source—and to Red Hat—also proved to be a security blanket, as they could be assured that no one could walk in and take its solution away". Borne out of an explosion of geo-computing costs, and their desire to push the limits of technology, the company sponsored the TurboVNC and VirtualGL projects. The result: users can interpret from anywhere using a standard issue laptop (with dual 24" monitors when at their desks), achieving better performance than traditional workstations. Great foresight! What are you doing about your geo-computing problems? This regular news feature is for information only. We aren't connected with any of these organizations, and don't necessarily endorse their products or services. Petrel and Studio are trademarks of Schlumberger. Giga Transverse is a trademark of Sercel. Low res DSU1 image from Sercel marketing material.